A packet containing six square handmade soaps for daily use. 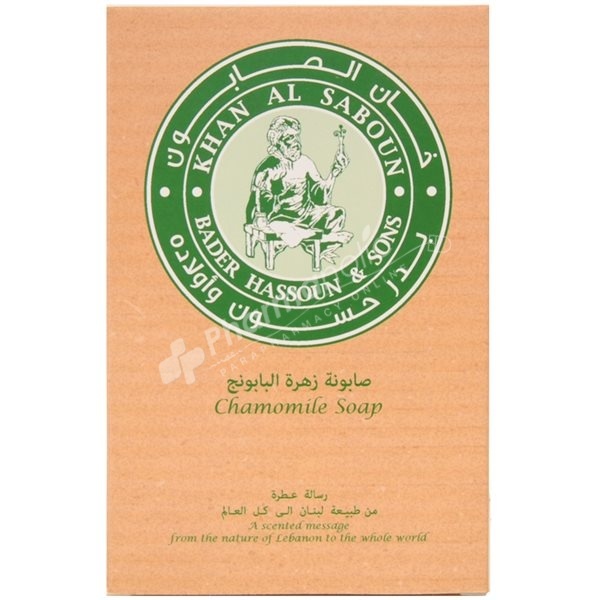 The Pure Chamomille smell makes it very special and rich with charming scent. Olive oil, palm oil, coconut oil, Soda water, honey, sea salt, flaxseed oil, green tea oil, chamomile oil, different kind of aromatic oils, concentrated herbal water.